Barbara Joan Jeppe, née Brereton was born on 21 May 1921 at Pilgrim's Rest. At an early age her mother introduced her to the world of wild flowers. Barbara also loved butterflies and painted many for her friends. She was married to Carl Louis Jeppe, a psychiatrist. The couple had four children, Leigh, Marie, Carl and David. 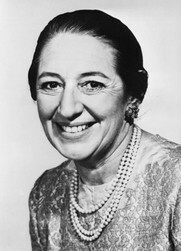 Barbara Jeppe died on 20 June 1999 at Johannesburg.